The Japanese cryptocurrency exchange Zaif has announced the theft of an estimated $60 million worth of digital currencies, highlighting once again the frailties that still loom over the industry. As this chart shows, this wasn't the first such 'heist' and it certainly wasn't the biggest. 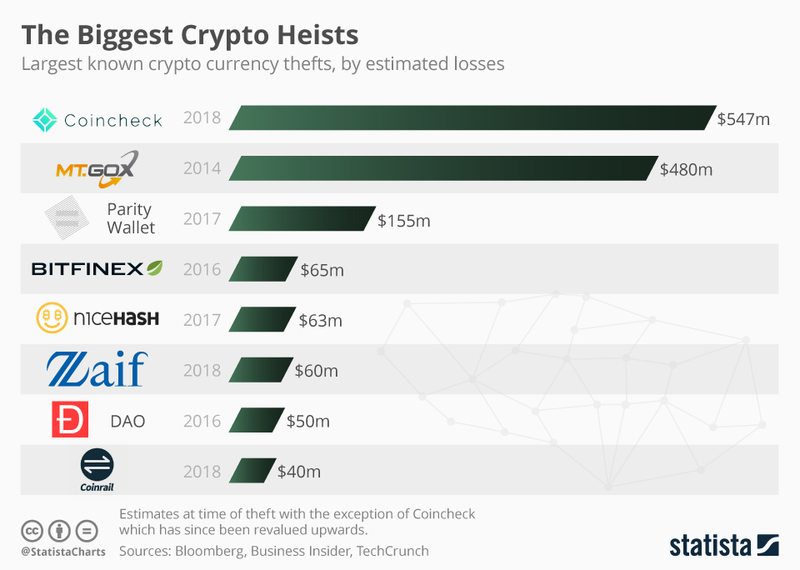 The latter accolade currently goes to the $547 million theft from Coincheck in January this year.